Google and facebook is some thing without which today world cannot think to wake up in the morning. Immediately after waking up today's teens and youth opens Google search and Facebook through their cell phones, tablet or computer, so you can really do your business done if you rank well.The ranking in Google has 2 kinds. The One On-page SEO factors and other is done through Off-page SEO factors. The on-page Google search ranking some think which should be consider more than offpage. Keyword: Selection of keywords are of prime importance when you talk of Search engine ranking, We all have tendency to go for generic keyword or high competition keyword , which is some thing is crap. 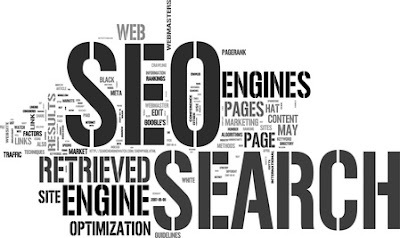 There are lots of other key word, where search is more but competition is less why cant we go for such a keyword.To search something the targeted keyword should be used in a specific manner with art & science, so that appropriate search can be targeted for top positions & maximizing the SEO traffic share. Outgoing links: Outgoing links which can be also said as out bound links OBL. I recommend not to have more OBL. This links should be correlated to the title of the linked pages. The wrong link can harm the site. Article length and links: For Offpage works, the article which is having more texts is more welcomed. The quality is always to be taken into account as per brand and business requirements. The best practice for article submission consists of text with right keyword density. Normally you can have 3% of keywords. Always try to have 500 to 600 words for a article. The articles should always have text related to title and theme. Permalink: The permalink can be Page URL which is one of the important factors that influence rankings. Don't stuff the url only with keywords but utilize them smartly with right keyword in the static page URLs or apparently static URL. The URL with related words should be re-written for better results. The size should be precise. Don’t using stop words question marks, punctuation marks in the URLs which search engin bot don't like . Over optimization penalty: Un-natural traffic can be because of Flag and triggers and the link growth to identify which may lead to over optimization penalty. Penalties may be like -30 to -50 i.e 30 to 50 drop in SERP ranking. Over optimization is one the latest update which Google has introduced . Don’t make use of Frames: Always try not to use iframe , since lots of bots are finding it hard to crawl the page, but Nowadays google bot is not having problem in crawling the page but yahoo and bing has problem, most of the keyword ranking in google may also rank good in yahoo and bing ( not Vice versa) so always dont use iframe . Canon­i­cal­ize the Dupli­cate pages of your web­site. Heading tags: One if the other important factor is having heading tag in the site. the second thing to do on onpage is to have heading tag Mostly known and used heading tags are H1 to H6. H1 tags are of first priority which followed by others. There are lots of site which do not have heading tag .